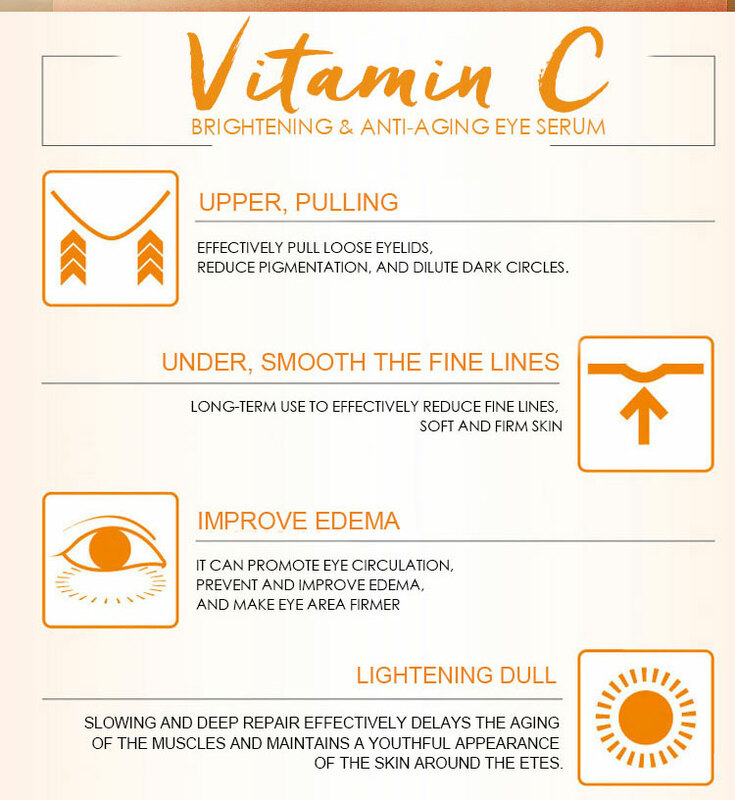 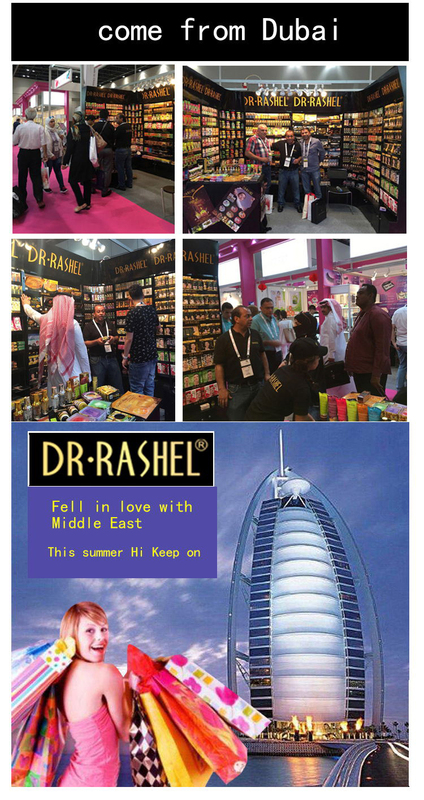 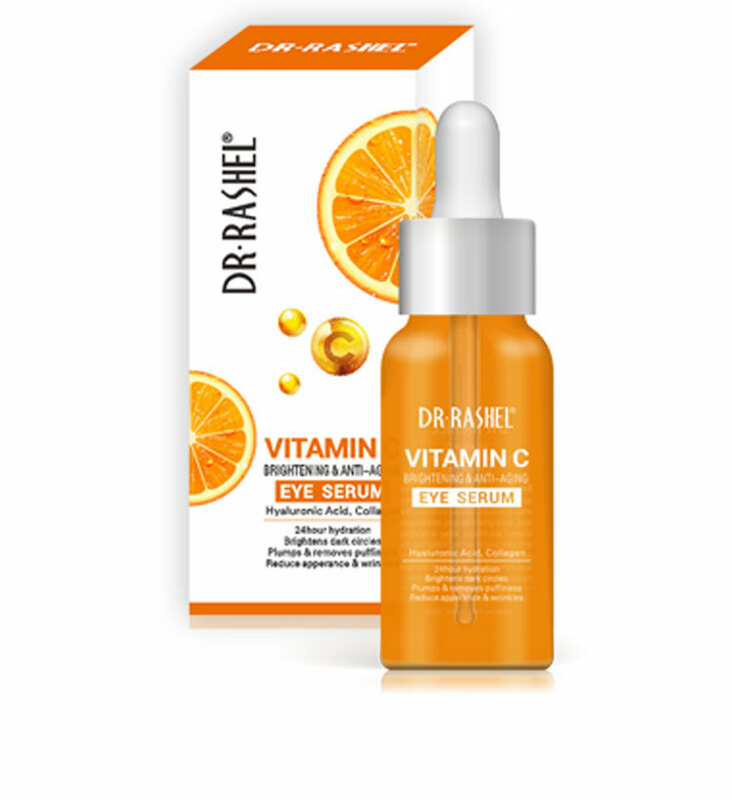 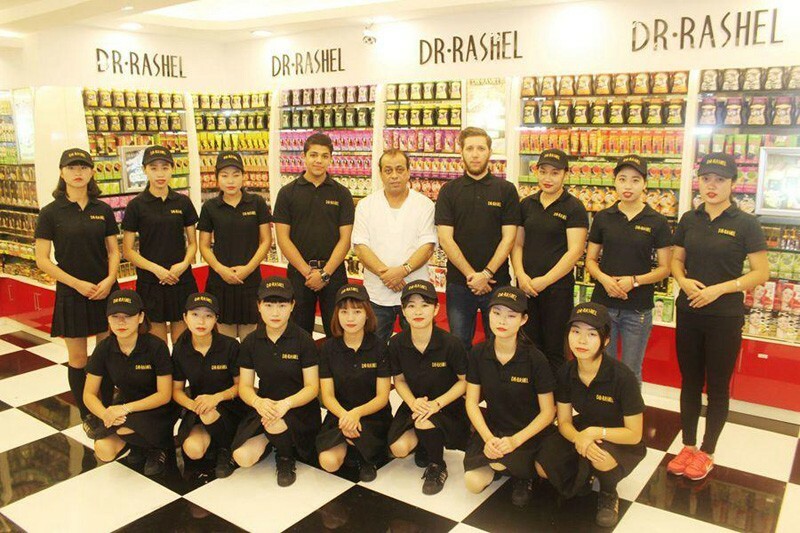 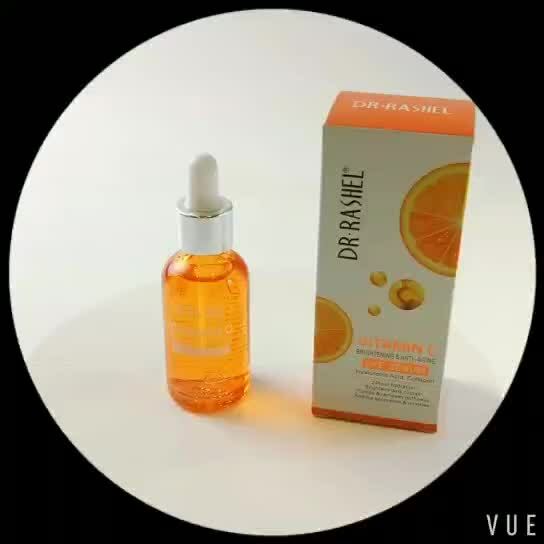 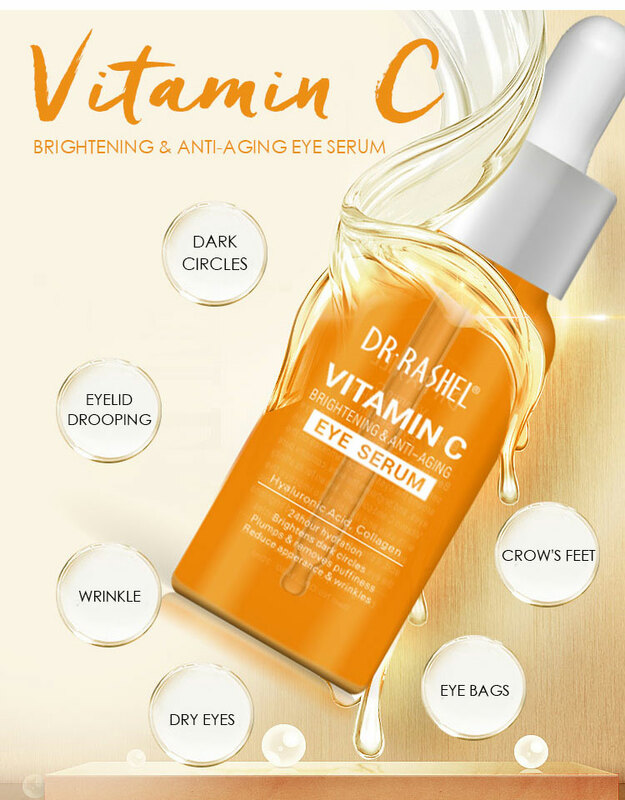 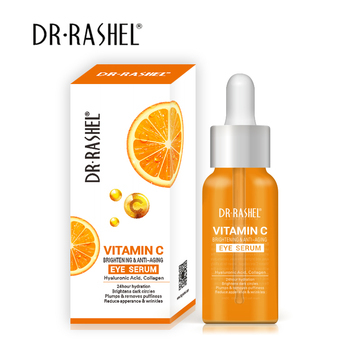 DR•RASHEL Vitamin C eye serum deeply nourishes the delicate skin around the eyes, reduces wrinkles on the eyes, and brightens the eyes. 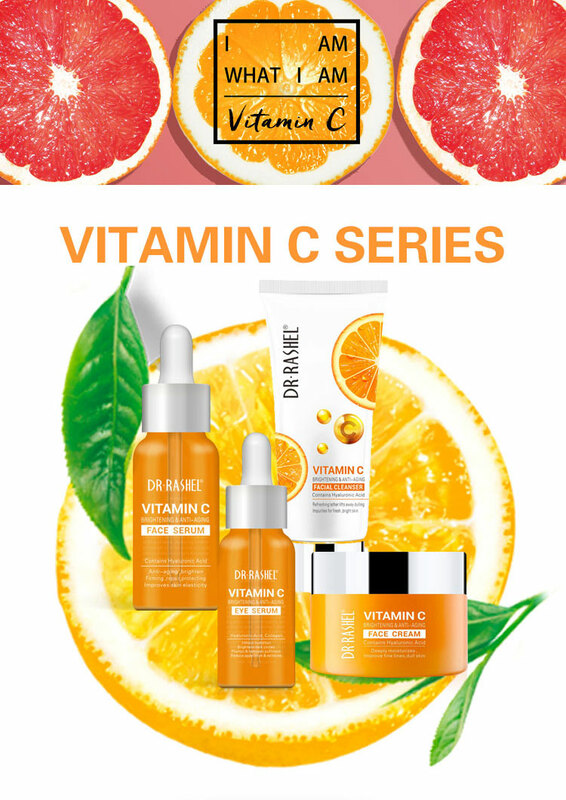 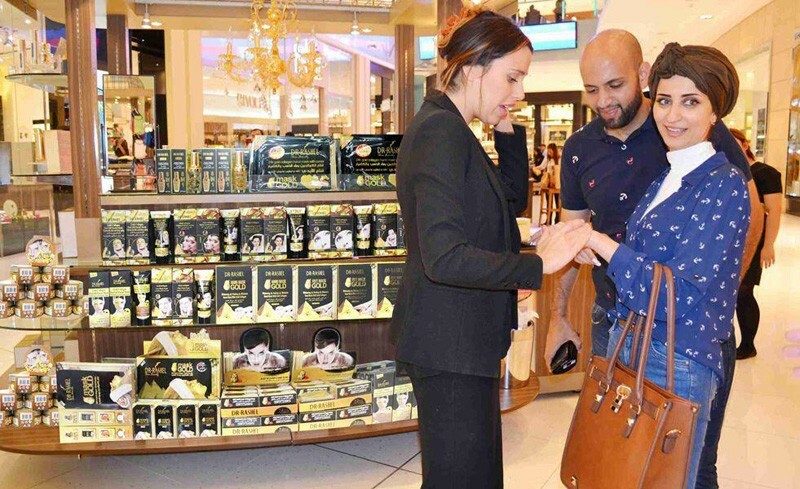 Contains pure vitamin C and collagen, known for its affinity with skin and its ability to improve the appearance of aging skin. 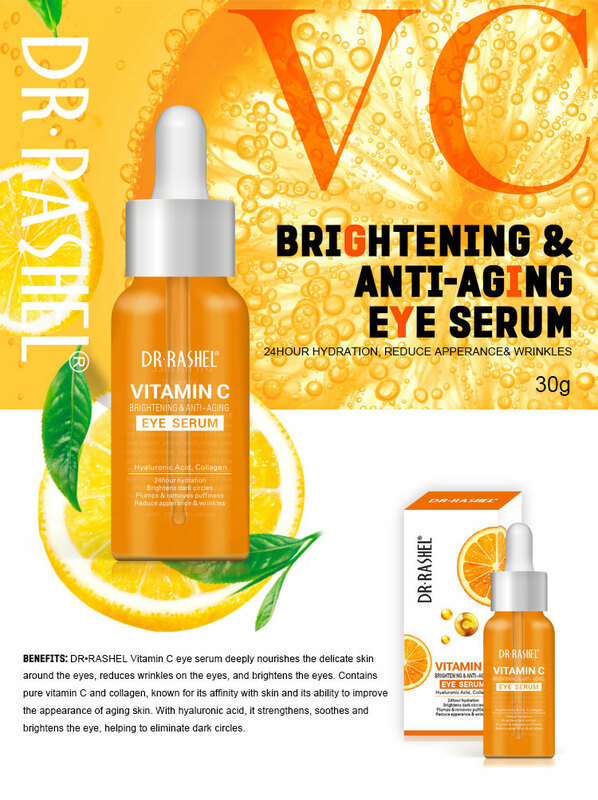 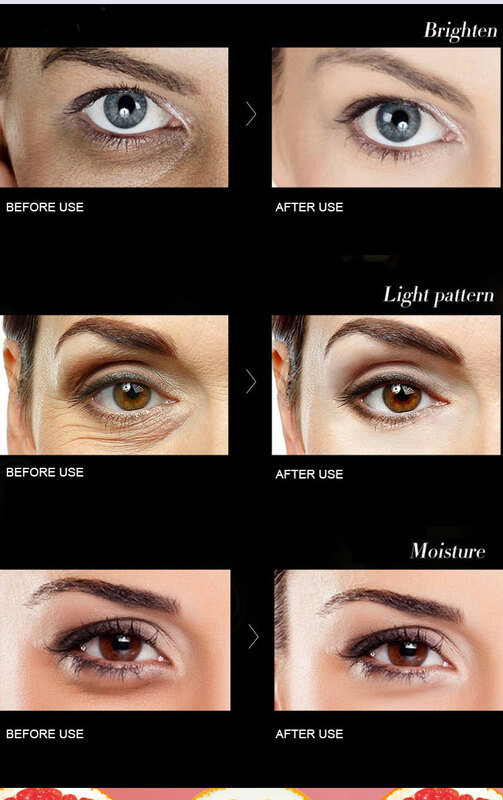 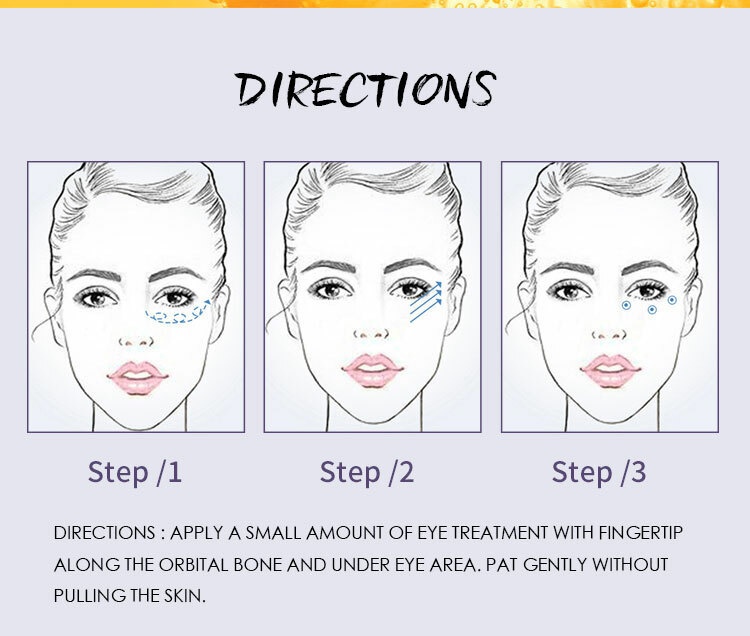 With hyaluronic acid, it strengthens, soothes and brightens the eye, helping to eliminate dark circles.